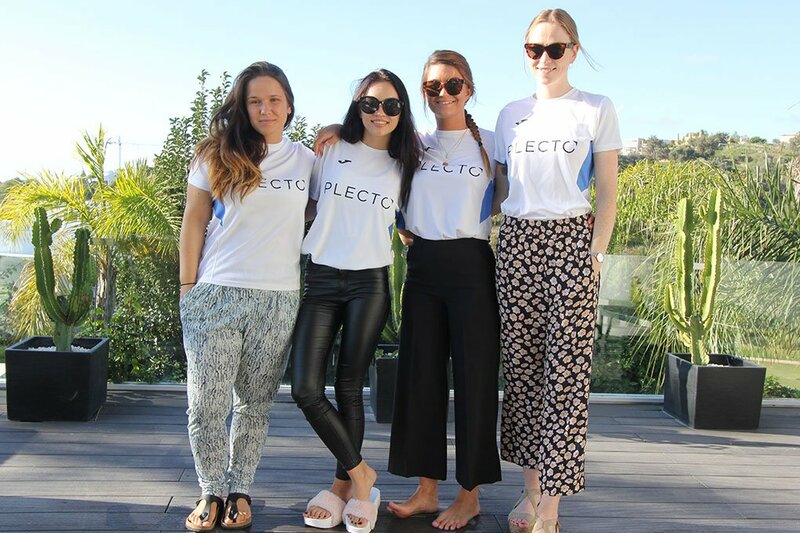 We've decided to start a new series called 'Team Spotlight' where we invite each member of the Plecto team to share a little bit about themselves. 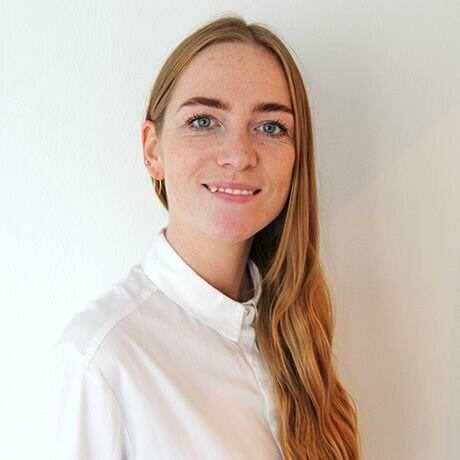 First up is Rikke Mathiasen - one of our customer success superstars! 1. How long have you worked at Plecto? 2. What kind of jobs did you have before joining Plecto? After many years of getting lots of requests from young girls wanting customized prom/evening dresses, I established a small one-man business in 2015 where I was designing, constructing patterns and sewing dresses primarily. Eventually, I was contacted by two businesswomen that wanted to collaborate with me, and my designs/collections were featured and available for purchase in their design collective store for upcoming designers in Aarhus. I have also been working part-time as a Danish teacher (Danish as a foreign language) at Business Academy, Aarhus. When I was younger, I had all kinds of jobs: dishwasher, paperboy, cleaning, babysitting, sales assistant etc. I have also worked as an au pair in Paris and in my early twenties, while I was studying, I was tutoring/mentoring new students and doing speeches at open house conferences at the Faculty of Humanities at Copenhagen University. 3. How did you end up in customer success management? I actually thought that I would end up as a high school teacher. However after handing in my thesis I was applying for jobs and I saw this amazing position at Plecto! I immediately felt a burning desire to help and consult customers thanks to my customer-facing experience in my previous job. And of course also in virtue of my intuitive interest in and knowledge about strategic planning and communication. It was just perfect. 4. What’s your favourite part of working in customer success? My favourite part is when I’m able to empower the customers. I thrive in a consulting role where I get to listen to the customer’s needs and desires about our dashboard solution and understanding why they need it - not just configuring it for them. Then I can offer the best solution. I also really love the daily interaction with both new and existing customers, and following their journey to achieving the outcomes they desire - and ensuring they stay on track. 5. What was your dream childhood job? Being a doctor and curing all diseases in the world. I failed maths, so reality changed. 6. What’s an average day like for you at Plecto? The daily tasks vary widely: 50% of the time I’m on the first line where I provide support across many platforms (chat, e-mail, telephone). When I’m not on the front line, I do set up and support meetings, and I also write content (descriptions, guides and tutorials) on our support site. I also work closely with the development team, so whenever a customer has a feature request or reports a bug, it is crucial to gather and give this kind of feedback to them, so we can optimize/problem solve. Our dear customers are of course always my first priority, but whenever I get the chance, I just cannot help researching and digging deeper into the Customer Success field and using my experience to write blog posts from a customer success point of view in order to inspire our customers and blog guests on how to set up the perfect dashboard. I actually recently wrote a post about the best call center KPIs - you can read it here! Some of the Plecto girls and I on our team-building trip to Spain last year! 7. What’s your favourite film? There are so many! But I can watch the Danish movie Blinkende Lygter over and over again. I also really like The Usual Suspects and Seven Psychopaths. I recently went to the movies and watched Three Billboards Outside Ebbing, Missouri. That is my new favourite movie! Traveling and hunting for the perfect burger! And therefore, I need to run and exercise - a lot - to be able to afford it ;) Fortunately, those are also my hobbies. I also like to visit museums that hold modern and contemporary art. 9. What’s your favourite cocktail? 10. What’s your favourite GIF? Stay tuned for our next team spotlight post! In the meantime, why not have a read of some of our other blog posts?